Dr. Abdullah first qualified and graduated with honours (in Medicine, Medical Microbiology, Psychiatry and Biochemistry) in 1992 from Liverpool Medical School having intercalated a science degree in Biochemistry on Scholarship due to outstanding performance as an undergraduate. Dr. Abdullah subsequently underwent general professional training in Medicine in Merseyside before joining the West Midlands Specialist Registrar Rotation in Dermatology between 1996-2000. He obtained full accreditation in Dermatology in 2000 and is on the UK specialist register in Dermatology. He also received further specialised training as a Fellow in Paediatric Dermatology as well as Laser therapy in London at the Professorial Unit of the Great Ormond Street Children Hospital. Dr. Abdullah is a full time Consultant Dermatologist and Joint Clinical Director at The Birmingham Skin Centre which is a teaching Hospital for the Birmingham University and one of the training centres for specialist registrars in Dermatology. The Skin centre is a regional tertiary referral centre for Dermatology which also houses the Birmingham Regional Skin Laser Centre where Dr Abdullah is the Lead Clinician. He has a general Dermatology practice with a special interest in Paediatric Dermatology as well as Laser therapy in different types of skin conditions including birthmarks, blemishes and scarring. He has extensive clinical and research experience in these areas and has published widely in the subject in international peer reviewed journals as well as chapters in textbooks. He also presents and lectures both nationally and internationally and is interested in education for doctors in training at all levels both in UK as well as in other countries. 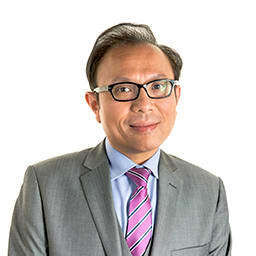 He is also an honorary tutor in Dermatology for Cardiff University for the Diploma in Practical Dermatology course and has been an examiner for it both in UK and Hong Kong. He has also been appointed as a Honorary Consultant Dermatologist at the United Christian Hospital in Hong Kong and has been instrumental in setting up their government sponsored Laser Unit for Birthmarks.